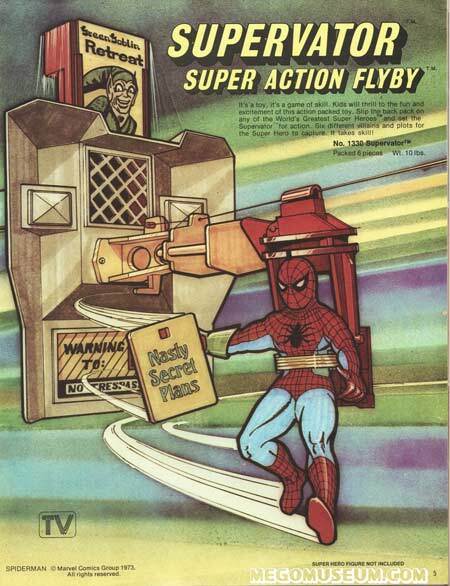 The Mego Supervator as featured in the Heroes World Catalog. 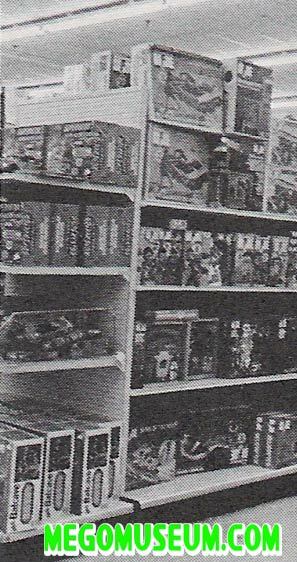 Here you can see an end cap of Supervators, Batcaves and boxed World’s Greatest Superheroes just strewn about in 1974. 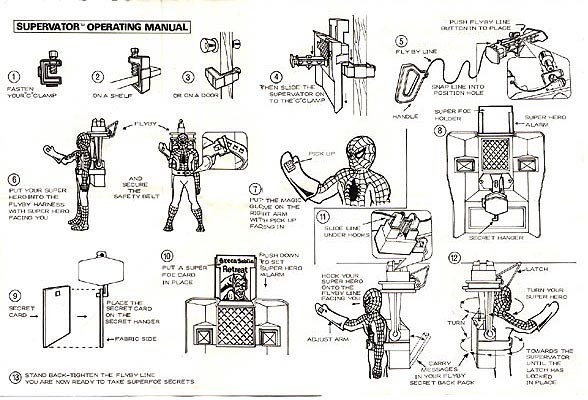 For years and years the Mego Museum has featured a Supervator page, and for all that time it has been promising to figure out what the heck the thing was. Well, here are the instructions. We’ve had them all along, but just never got around to it. 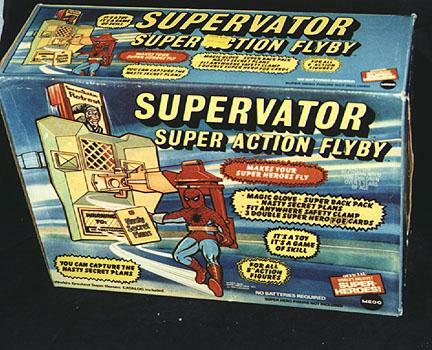 The supervator is a playset that’s really kind of an action game. The figure wears a harness that as attached to a string with a kite handle on the end. 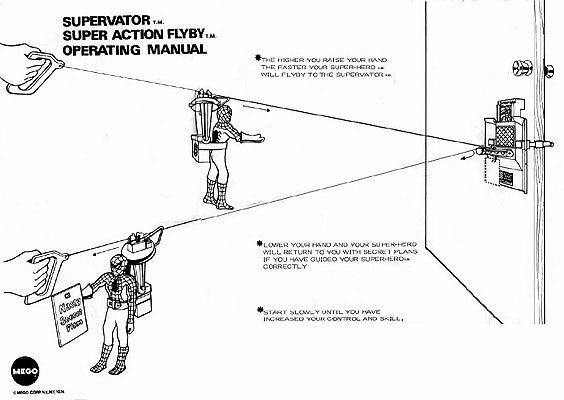 By maneuvering the string up and down you fly the figure toward the Supervator. The object is to grab the “Secret Nasty Plans” with a blue oven mitt glove that has a tiny square of velcro glued to it. When you hit the Supervator, a picture of a villain pops up and the harness swivels around for the return trip. That’s the best I can explain it. I have no idea how well it works. 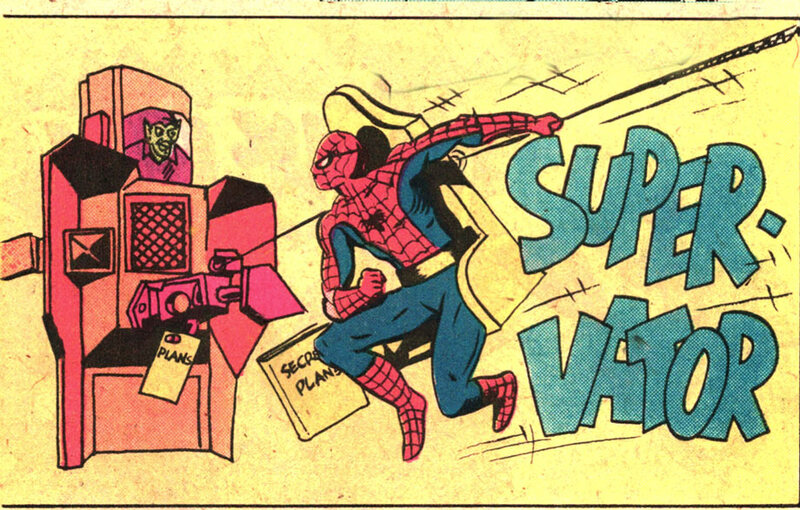 Perhaps at the next Mego Meet there will be a Supervator Contest of Skill. A life-sized version would also be fun and a tremendous liability.